Over the last two decades, climate change has become a major environmental issue. The prediction that climate change effects will be more frequent and intensive is a raising concern especially among vulnerable communities. Solving the problems of climate change and reducing its inevitable negative effect require individual and global cooperation. Necofa Kenya in collaboration with PIPA (People in Peril Association) a Slovak NGO have been implementing a project whose major focus is to aid the community to adapt and mitigate the effects of climate change. 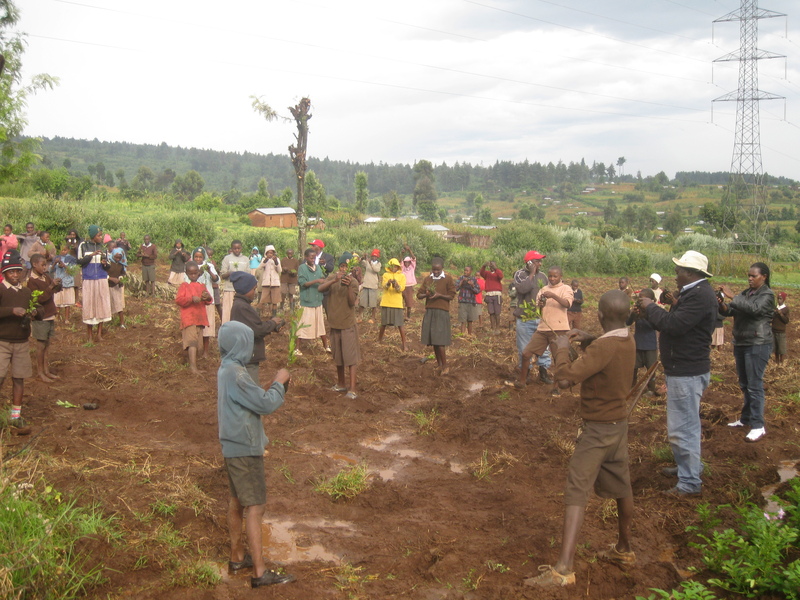 The two organizations started with the donations of trees seedlings to both schools and the community. This was done to encourage the community to initiate/ practice farm forestry, as a way of ensuring they have a way of sustaining their fuel needs. 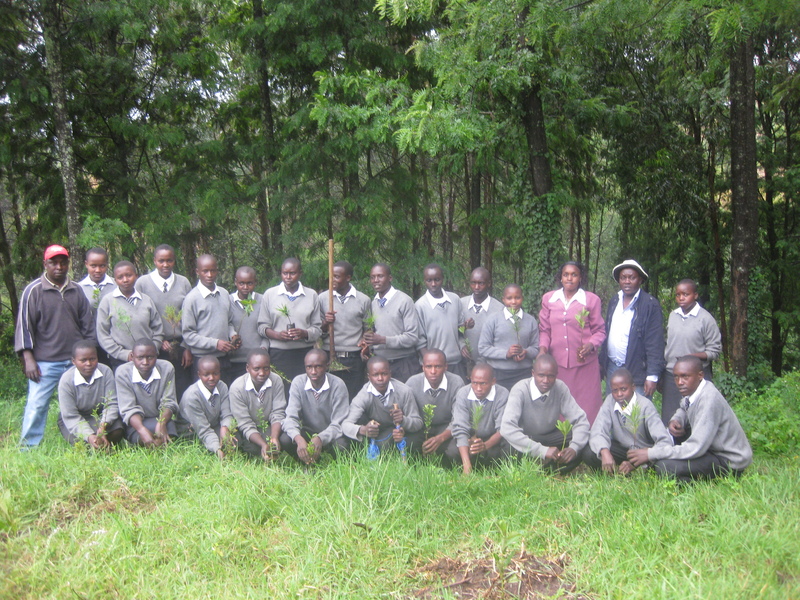 The schools that received trees seedlings included Tabain primary school, Maigoya, Kapsorok, Sachang’wan sec, Koige pri & sec school, Tuyoitich primary school and Mwangi Michuki primary school. They also donated energy saving jikos (stoves) to the vulnerable members of the community in Jogoo, Sachang’wan, Mukinyai and Giteru villages in Molo District. They organized trainings and demonstration on the installation of the Jiko Liners (stoves) where all the vulnerable members of the community were trained on the installation and maintenance. This is all in the spirit of a greener Africa. Pupils from Jogoo primary school.